The next time you go to see your health care provider for an upper respiratory illness — a cough or cold — don't assume you'll get a prescription for an antibiotic. “Antibiotics are used to treat bacterial infections, such as pneumonia, and won't help viral illnesses like colds, flu and most sore throats,” says Emily Langer, a Mayo Clinic Health System Emergency Medicine physician assistant. Clinicians should not prescribe antibiotics for patients with bronchitis. Antibiotics should be used only if patients have pneumonia. Clinicians should test patients with symptoms that could be strep throat. Because symptoms alone are not reliable, antibiotics should be prescribed only when testing confirms strep throat. Other sore throat infections don’t need antibiotics. Clinicians shouldn’t prescribe antibiotics for sinus infections unless patients have severe symptoms or symptoms lasting more than 10 days. Patients whose symptoms improve but eventually get worse also may need antibiotics. Water, juice, clear broth or warm lemon water are good choices. Avoid caffeine and alcohol, which can dehydrate you. Chicken soup and other warm fluids can be soothing and loosen congestion. If possible, stay home from work or school if you have a fever or a bad cough, or are drowsy after taking medications. This will give you a chance to rest and reduce the chances you'll infect others. Adjust your room's temperature and humidity. Keep your room warm but not overheated. If the air is dry, a cool-mist humidifier or vaporizer can moisten the air and help ease congestion and coughing. Keep the humidifier clean to prevent the growth of bacteria and molds. Perform a saltwater gargle. Dissolve one-quarter to a half teaspoon of salt in a 4- to 8-ounce glass of warm water. This can relieve a sore or scratchy throat temporarily. To help relieve nasal congestion, try saline nasal drops. You can buy these drops over the counter, and they can help relieve symptoms ― even in children. Take over-the-counter cold and cough medications. For adults and children older than 5, over-the-counter decongestants, antihistamines and pain relievers might offer some symptom relief. However, they won't prevent a cold or shorten its duration, and most have some side effects. Experts agree you shouldn’t give these medications to younger children. 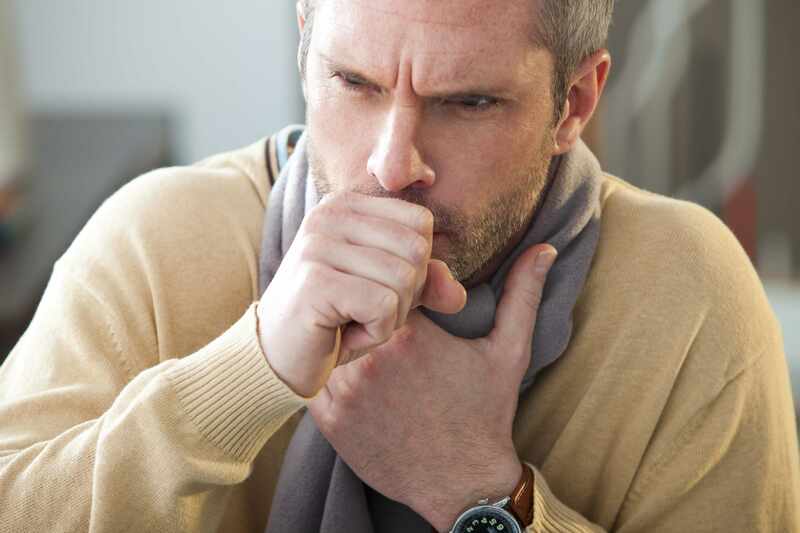 Overuse and misuse of cold and cough medications can cause serious damage.